The number of new cars being sold with DAB as standard has reached a new record number growing to 92.4% in Q2 2018, according to data from industry analysts CAP and The Society of Motor Manufacturers and Traders. This is up from 90% in Q1 2018 and 86.8% in Q2 2017, and means that 2.2 million new cars with DAB have been sold in the last 12 months. The month of May saw a record high of 92.9% of new cars with DAB as standard, driven by model launches around the key registration plate change period of March/April. For example, manufacturer Dacia, who did not fit any models with DAB as standard 2 years ago, launched the new Dacia Duster with DAB as standard, while Hyundai, previously offering 60% of their range with DAB as standard, added DAB as standard to the new Kona model. There has never been a better time for drivers to listen to digital radio in their cars. Drivers can benefit from the expanded choice that is only available from digital radio when they are on the move. The choice of national stations available on DAB brings listeners music, sports, business and talk stations such as BBC 6 Music, Radio X, Hits Radio, Kisstory, Magic, Jazz FM, LBC, talkRADIO, talkSPORT2 and BBC Radio Five Live Extra. Listeners with digital radio in their vehicle can enjoy these stations and more as well as coverage of this summer’s major sports events. Digital Radio UK anticipates an increased interest in digital radio amongst drivers due to the great live commentary of the World Cup football matches on BBC Radio 5 Live and BBC Radio 5 Live Sports Extra, as well as on talkSPORT and talkSPORT2. 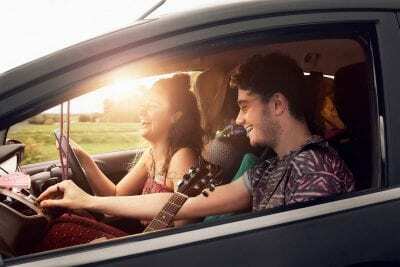 According to Rajar Q1 2018 data, 23.7% of all radio listening takes place in car. Vehicle manufacturers made the decision to fit digital radio in new cars in response to the increasing popularity of digital radio, the increase in the number of exclusive digital radio stations, and the expansion of DAB transmitters to cover the major road network.